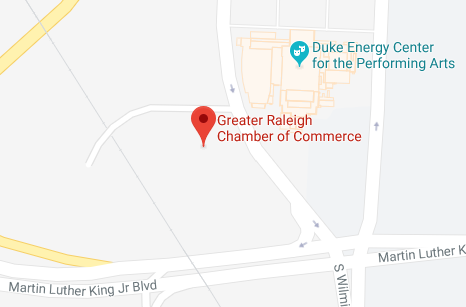 It is the intent of the city of Raleigh to promote and encourage the use of minority and women-owned business enterprises while maintaining the integrity of sound financial practices and supporting the growth and development of such businesses. CleanLinks, founded jointly by SJF Ventures and the Council for Entrepreneurial Development, is a networking platform designed to create high-value interaction among professionals in cleantech, renewable energy, energy efficiency, and relative environmental sectors. The primary purpose of CleanLinks is to foster networking, education, and collaboration in order to help grow entrepreneurship in clean industries. The Raleigh-Durham chapter offers CleanLink Forums, which highlight cleantech companies and best practices in and around the North Carolina region. The Council for Entrepreneurial Development was founded in 1984 to stimulate the creation and growth of high-impact companies in the greater Research Triangle area. CED achieves its mission by providing programs and services in four major areas: education, capital formation, mentoring, and communications. Through these efforts, CED provides entrepreneurs with the knowledge and skills that ensure their success and at the same time heightens awareness of the contribution that entrepreneurial companies make to our communities and our economy. EntreDot works with entrepreneurs at any point of business maturity to create, launch, and operate their businesses by providing professional mentoring and business educations programs that maximize opportunity for success. The company operates four Centers of Innovation across the Triangle where entrepreneurs can go for assistance. Good Work is a Triangle-based nonprofit that works with individuals who want to start or expand a small business. It provides training, consulting, and coaching to equip people, entrepreneurs, and organizations with the knowledge and skills to be more self-reliant, entrepreneurial, and active in their community. NC IDEA is a nonprofit organization created to assist young technology companies with high-growth potential in securing resources necessary for commercial success. The organization focuses on providing support to companies in information technology, medical diagnostics and devices, material sciences, and green technologies by providing early-stage grant funding and mentorship. North Carolina Chinese Business Association, founded in 2005, is a nonprofit and educational business organization that promotes cooperation between North Carolina and China. NCCBA furthers entrepreneurial and corporate development primarily in the science and technology field through networking opportunities, speakers series, and educational seminars. The North Carolina Institute of Minority Economic Development is a statewide nonprofit organization representing the interest of underdeveloped and underutilized sectors of the state's economic base. The Institute's working philosophy is that information and business development are critical to wealth creation and to building the asset base among low-wealth sectors of the population. By using a comprehensive, multidisciplinary, and interdependent strategy, the Institute strives to increase productive outcomes for groups with limited resources. The Institute's technical support, research, and information activities are structured to foster business, community, and educational/leadership development. Raleigh SCORE is dedicated to educating entrepreneurs and encouraging the formation, growth, and success of small business by providing free counseling and low cost educational workshops to start-ups and small businesses. SCORE appointments can be made at 9 a.m., 10 a.m., or 11 a.m. at the Greater Raleigh Chamber. Organized as an inter-institutional program of the University of North Carolina System, Small Business and Technology Development Center is the primary organization through which the state of North Carolina provides counseling and technical assistance to entrepreneurs as well as medium-size businesses facilitating technology development and commercialization. TiE Carolinas is a not-for-profit organization with a mission to foster and support entrepreneurship in the Carolinas. This organization is chartered by entrepreneurs, corporate executives, and senior professionals with roots or interest in the Indus region, with the explicit goal to benefit entrepreneurs. The Wake Tech/Wells Fargo Center for Entrepreneurship seeks to make a significant contribution to economic and workforce growth in the area served by increasing the number and success rate of new and existing small businesses and entrepreneurs. The Center for Entrepreneurship features a speaker series of successful entrepreneurs, an interactive, online entrepreneur community, and free mentoring. In addition, the center regularly partners with other organizations and government entities and sponsors events to serve small business and entrepreneurs. Established in 2001, Women in BIO seeks to help women within life sciences industries attain career and leadership goals, as well as to further entrepreneurial endeavors in the field. The organization conducts professional development programs, workshops, and seminars and organizes networking opportunities with other industry professionals.